Every month I choose a photograph from Flickr to appear here. Hopefully something interesting and informative. This month's photo is from me. It's called "Dyeing not Dying". 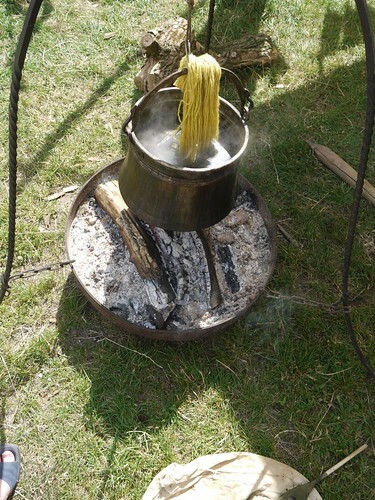 It's a photo of a skein of wool (not spaghetti) being dyed in an old cauldron over a wood fire. It was taken at a medieval fair in Otzberg, Germany. The caption on the photo reads, "Dyeing - not to be confused with dying. When you use this natural process to dye your cloth, you can have any colour, as long as it's green, yellow or brown."